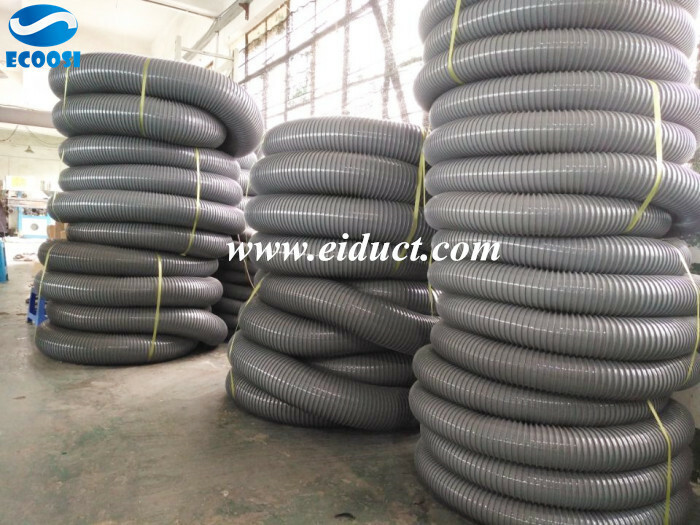 Ecoosi flexible ducting hose - PVC helix ducting has many advantages such as excellent resistance to corrosive properties of harsh chemicals, resistance to oxidation caused by moisture, as well as excellent crush resistance. 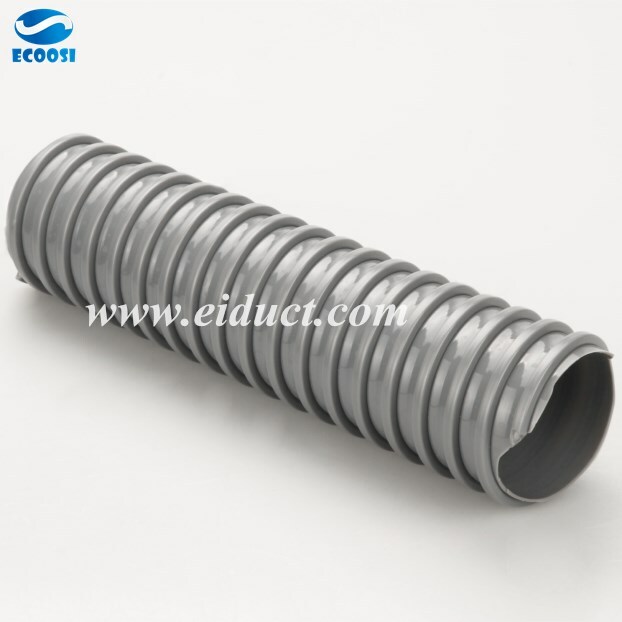 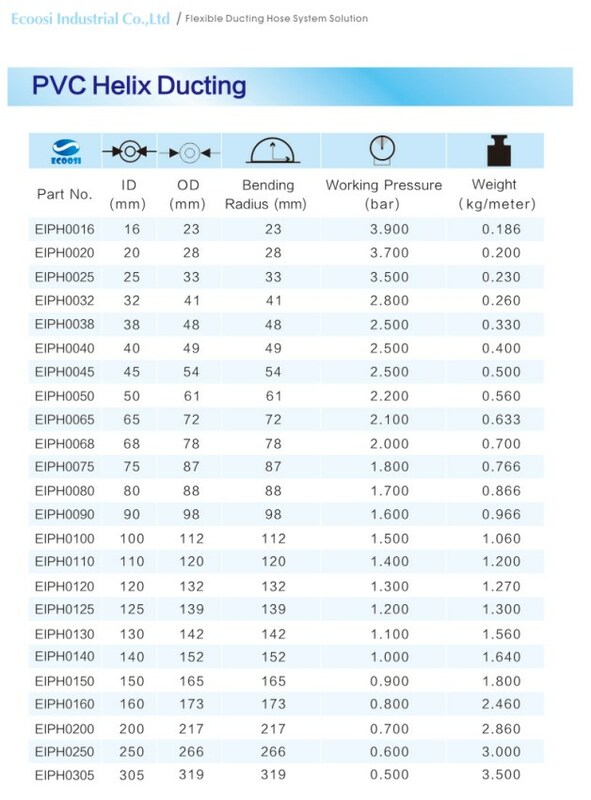 Ecoosi provide this plastic hose made with rigid PVC materials that are ideal for a broad range of applications as in moving ambient air, elevated temperatures, abrasives transfer and bulk material collection. 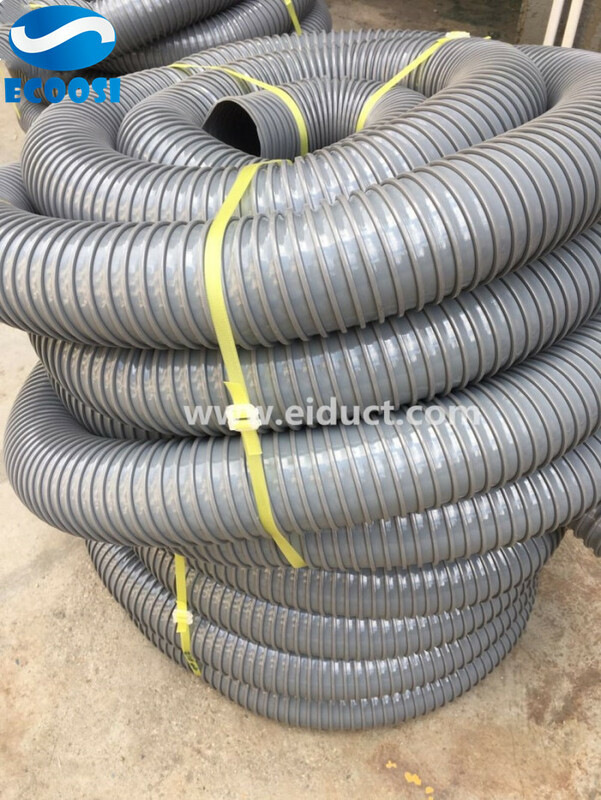 Ecoosi provide light-weight flexible hose perfect for the movement of ambient air that require the PVC hose to be move-able and flexible. 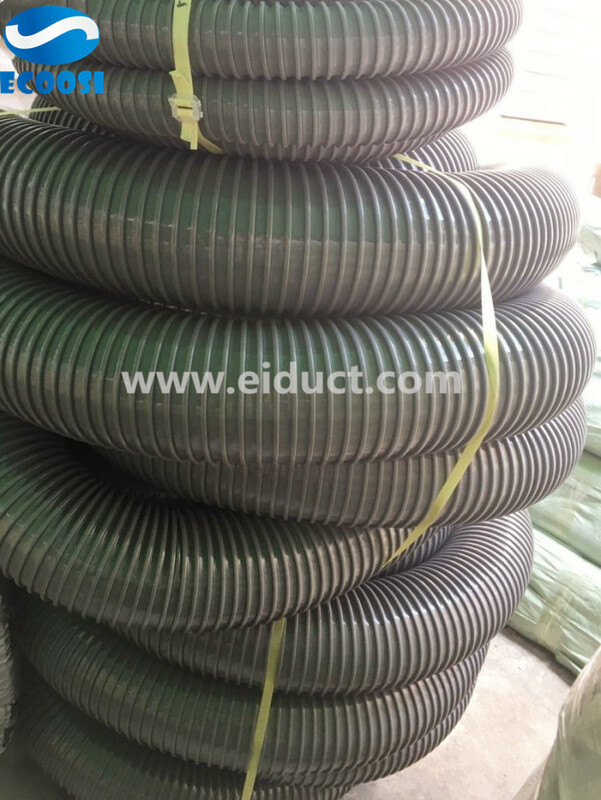 Since plastics generally have high tensile strength, flexing and compressing the hoses will not cause flex fatigue. 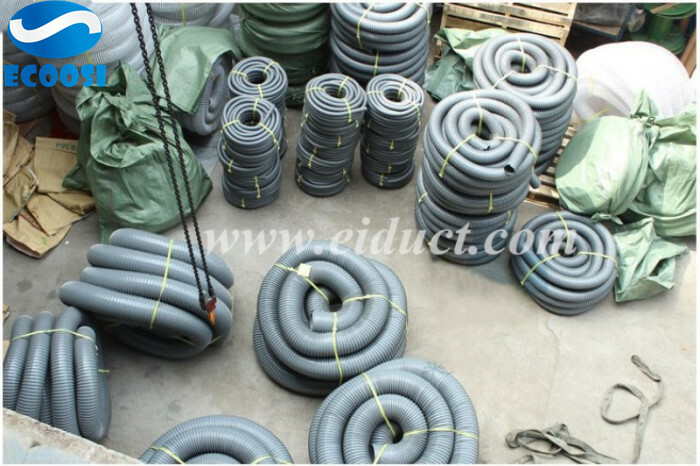 Plastics are far less prone to damage from everyday wear than competing rubber and/or fabric type hoses.